For those in want of a smile makeover in Boise but are hesitant to undergo the tooth reduction (tooth material removal) associated with cosmetic veneers (like porcelain dental veneers), there is another alternative for you — prepless dental veneers. As a part of our cosmetic dentistry treatments, prepless cosmetic veneers are thin dental veneers that can be placed seamlessly on a tooth with little to no tooth veneer prepping required. Prepless cosmetic veneers are growing in popularity and offer tremendous benefits to our patients in the Eagle or Meridian ID area. MINIMAL PREPARATION | A prepless tooth veneer requires minimal drilling (tooth reduction). This means if you ever need to remove your prepless tooth veneer your tooth will look and function exactly how it did before the tooth veneer (or multiple cosmetic veneers) was placed at our Boise office. INSTANT RESULTS | Dental veneers are often referred to as “instant orthodontics”. Prepless cosmetic veneers can be placed in as little as two visits to our office near Eagle ID and immediately brighten and straighten your smile. COMFORTABLE | Placing prepless dental veneers at our Meridian ID area office is a completely comfortable procedure. Because of the limited tooth reduction and less complex treatment you will experience less discomfort. Also, after your prepless cosmetic veneers are placed at our Boise location you may sometimes forget they’re not your natural teeth. FUNCTIONAL | A prepless tooth veneer functions just like your natural tooth. You can bite and chew just as you would with your natural teeth. Use prepless dental veneers to create your dream smile! Don’t put off creating your ideal smile any longer. Prepless veneers not only simplify making your dream smile a reality, but they are surprisingly affordable. 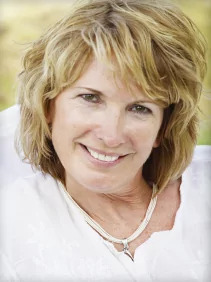 Call Blaisdell Family Dentistry now if you live in the Boise, Eagle, or Meridian ID area and set up a consultation to find out if prepless dental veneers are right for you! We’d be happy to answer any questions you have and we always partner with our patients to make sure they are comfortable with every treatment they receive here.